VirnetX first filed suit against Apple in 2010, winning $368 million. It then sued again in 2012, which is the suit that’s being ruled on today. Apple initially lost the suit, then filed for a mistrial. It won a new trial, lost that trial, was ordered to pay $300 million, then lost some more and is now having that amount upped further. That’s because a judge found Apple guilty of willful infringement. The US Patent and Trademark Office invalidated all four of the patents that VirnetX is suing over. But VirnetX can appeal that decision. Apple has been ordered to pay $439.7 million to the patent-holding firm VirnetX for infringing on four patented technologies that were apparently used in FaceTime and other iOS apps. 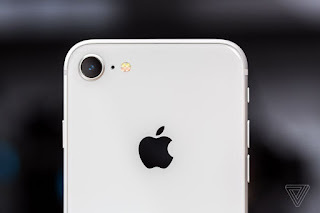 While this is the final judgement from the US District Court the case is being argued in, Apple tells The Verge that it plans to appeal the ruling — continuing this long-running patent battle, which began back in 2012. Tech giants have been barraged with lawsuits over the years from “patent assertion entities,” which generally don’t make products of their own and instead just sue other companies for money. Sometimes they just settle to put an end to the legal battles, but other times they’ll see them through in an attempt to invalidate patents or make further damage harder to prove. That could be what Apple is hoping for here. The US Patent and Trademark Office recently invalidated all four of the patents that VirnetX is suing over. But VirnetX can appeal that decision; and until all appeals are decided, the patents remain enforceable, which is why Apple is still on the hook.